In June, 2017, I was fortunate to take a two week trip to Alaska. It was a family vacation, but locations and activities were planned for a photo-centric trip. 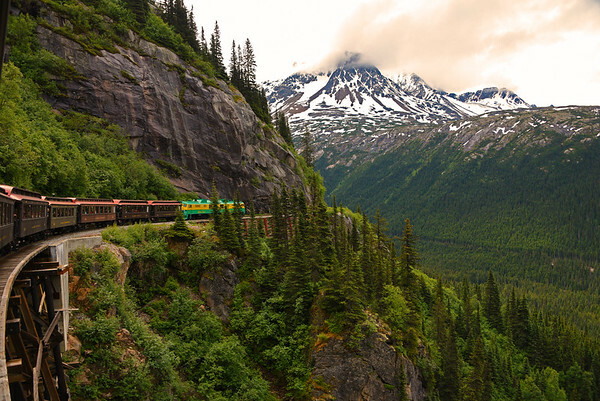 It centered around a cruise from Vancouver to Seward, after which we went to Denali National Park for a few days. The trip was incredible, and I only wish I had more time (and occasionally, more flexibility) to spend in many of the locations. Since the trip was in June, there was no sunset or sunrise to rely on for good light - there was some dusk-like time at about 2:00 in the morning - but the rest of the time was pretty well full sunlight once we were in Alaska. We were actually in Denali for the Summer Solstice, which was oddly bright all night. Flying into Vancouver a couple of days prior to the cruise allowed us to see the sites and check out a beautiful city in Western Canada. The people and food were incredible, but the sites IN town didn't fit my personal photographic desires. There were some impressive places around town - from Stanley Park to Gastown - but we didn't make the effort to capture them well. We also didn't have enough time to venture outside of Vancouver, though it looked beautiful from air and sea! Our first stop was in Ketchikan, AK. The town itself is very cute, and lends itself to everything from an "old town" type of photo and river photos along Creek St, to harbor photos along the water. We checked out those areas, but the focus of the day was on our flight-seeing tour of Misty Fjords, and it was incredible! There were basically two things to do in Juneau: whale watching and visiting Mendenhall Glacier. We did both of them, but I have some tips for others. Whale watching is incredible in Juneau - we actually got stuck and had a longer-than-planned tour because there were too many whales around, and we couldn't start the boat engine at the prescribed time. Bring a long lens - while there are whales nearby, it's always more likely that a long lens will help you captures one further away. I shot with my 28-300, and spent most of the trip towards the long end of that range. One of our fellow travelers had a 600mm lens, and did great with it. That's probably overkill, but at least 300mm is recommended. We saw something rare during our whale watching trip, too: blue sky. That's right, Alaska isn't exactly known for blue skies, but when you get them - seize the opportunity. After the whale watching trip, we went to Mendenhall Glacier to see a truly Alaskan scene: waterfalls, mountains, lakes, glaciers, and wildlife. Yes, this was when we saw our first (and closest) bear of the trip. It was walking down the sidewalk by Safeway. Go figure. The glacier was beautiful, and it only took a short hike to see everything at the visitor area. We had a great time, and got some great photos. My recommendation is to do something different, though: go to the Mendenhall ice caves. It's a longer hike and takes more work, but check out these photos! My brother took that option with his fiance, and they had a great time - and came away with incredible pictures. Our day in Skagway started with gorgeous mountain views and some blue sky framing the scenic little town. About 80% of our ship went on the train out of town - and for good reason. It was incredible. I took a picture every few minutes for the whole three hour trip. 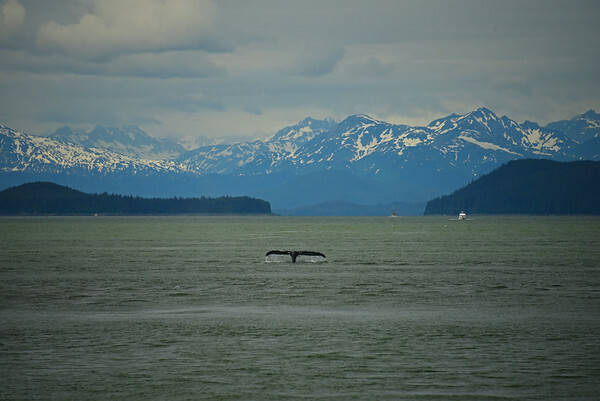 We ventured into Canada, then back through Alaska to the coast - the trip is highly recommended, regardless of age. I was consistently one of the youngest people everywhere we went, and was perfectly happy with that. Wow! 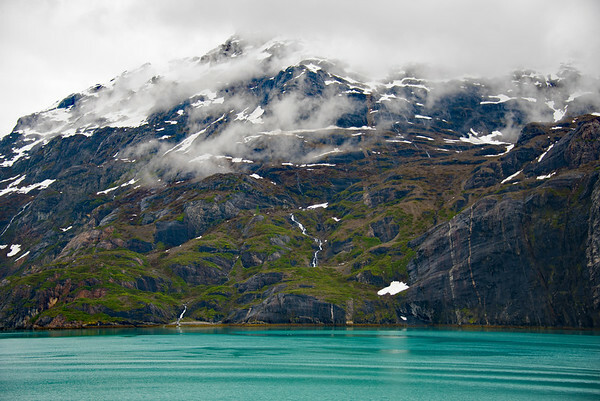 Most Alaskan cruises skip Glacier Bay because of the limited access enforced by the National Park Service. 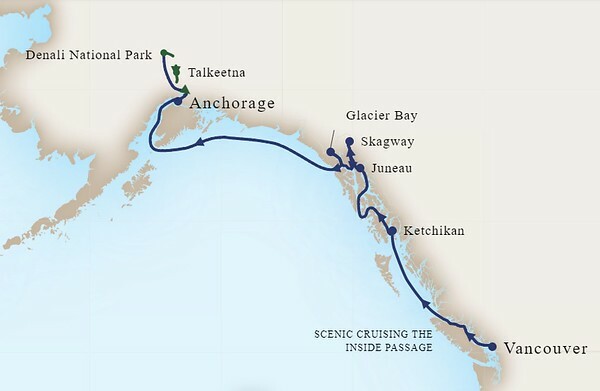 That's right - you're sailing your cruise ship straight into a national park. It was cold, rainy, miserable, and ugly for the early morning hours, and we wondered if we would see anything worthwhile. Well, we did. 360 degrees around the ship, we got beauty. Green hills with rolling waterfalls, soaring mountains, bright blue glaciers layered with decades of silt, and even a bald eagle resting on a small iceberg (my 300mm lens wasn't quite strong enough to get a worthwhile shot, unfortunately). 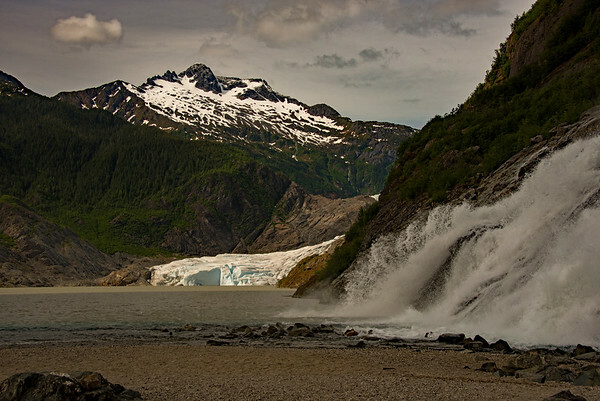 When you plan a trip, don't skip Glacier Bay. It's worth the extra time and expense. We got off the ship in nondescript Seward, AK. It... was unimpressive. Just moments after we got on the buses to Denali, we were pleasantly surprised with the diverse scenery of the land portion of our tour. 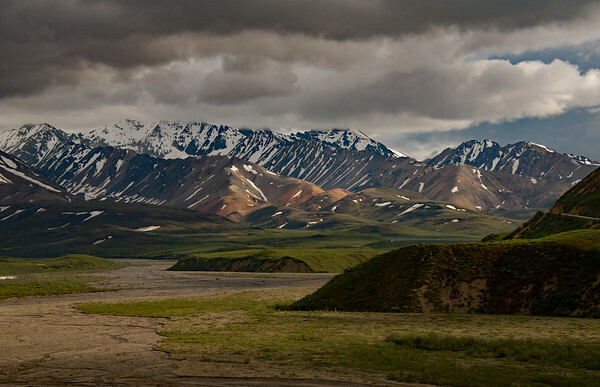 My wife and I immediately started discussing an RV trip through Alaska with our kids in the near future. The drive didn't offer much for photography (no stopping, dirty bus windows, etc. ), hence my desire to return. But I recommend the entire span from Seward to Denali to anybody making their own trip - don't fly into Anchorage and skip the drive down to Seward! There are incredible mountain views to be had! Unfortunately, this drive also gave us our only view of Denali of our trip, as it was covered with clouds the rest of the time we were closer. 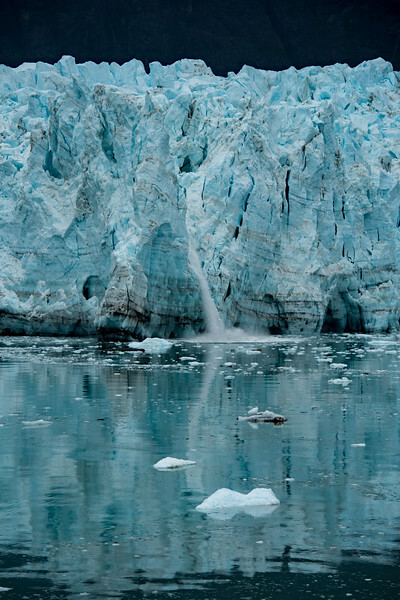 This is very common - don't fret about it, but use it as an excuse to extend your stay in Alaska! 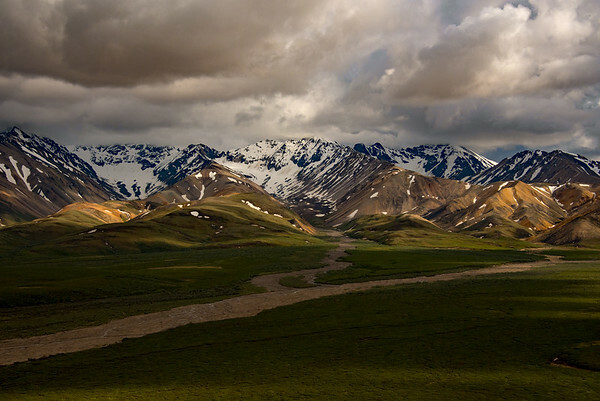 Access to Denali National Park is incredibly limited - personal vehicles aren't allowed very far into the park, requiring visitors to take a bus (or plane) to see the scenery. Air travel through the national park is a wonderful opportunity, and is highly recommended if your budget affords it. You will get more opportunity from the flight to see the mountains than you ever will from the ground. I think the bus tours offer a very good (and affordable) opportunity for people to see the park, though. Take the longest tour you can get, and then do it twice. I am convinced that the light here is never the same, and is always incredible. On our bus, only a few people complained about the constantly open windows, and we were conscious when it got particularly chilly or drizzly. For the most part though, we had the windows down, and shot. Constantly. I took a picture - on average - every 44 seconds. For seven hours. We saw caribou, sheep, bear, hare, and a moose. Whether you're on a cruise, boat, seaplane, or bus, every second of this trip was in motion. It's the kind of motion that a tripod won't help, too. Fix that with fast shutter speeds. Use your polarizing filter. 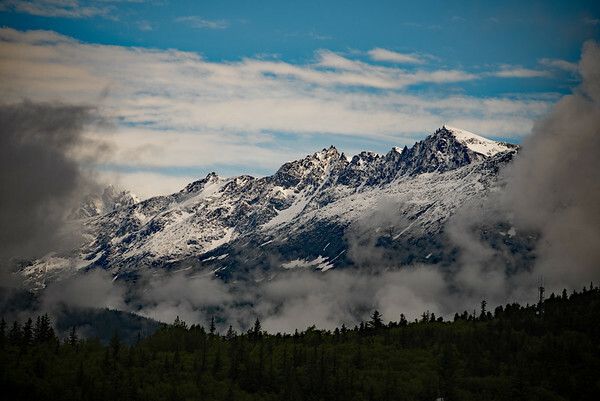 Alaska's a cloudy place, and a polarizer will help turn a flat sky into something much more interesting. Have your camera on you. You never know when something is about to happen. 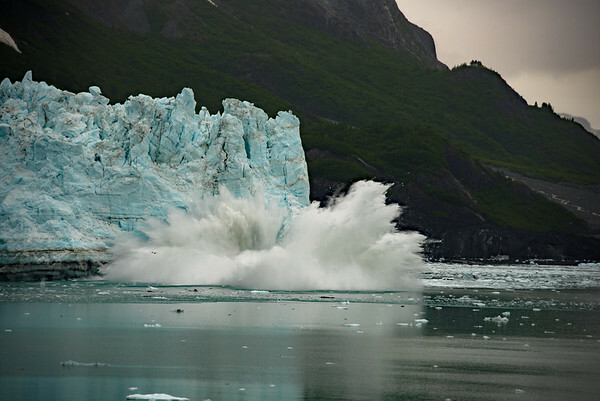 Don't miss animals, glacier calving, and the best clouds of the trip because your camera is in your bag. Get a rain bag for your camera. I took two. Photoshop has a great "haze removal" tool. Learn to love it.